We have 3D / 4D / HD Ultrasound Centers in Ashburn and around. Your baby’s heart beat can be recorded as early as 15 weeks! 2D Ultrasound is the most traditional sonogram method used for several years, and it offers a flat, two-dimensional baby image in black and white format. 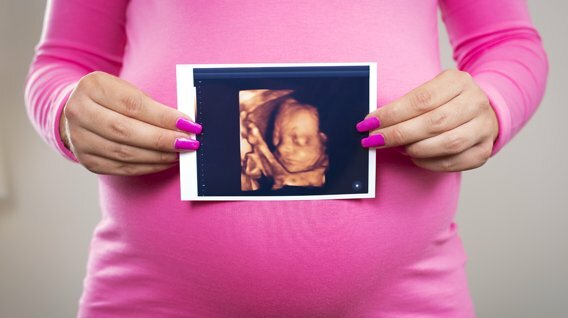 A 3D sonogram or ultrasound is an advanced method used for capturing your baby's image in three dimensions. It allows everyone to see their unique facial features in a well-defined formation. A 4D sonogram is a moving 3D image of the baby in utero. It helps in experiencing actions such as yawning, turning, and other subtle baby movements. In some cases, expectant parents can experience their child sucking their thumb and sleeping peacefully. 3D and 4D ultrasounds can also let you see your baby smile, yawn, and laugh, which is once in a lifetime experience.